Within the G5’s cool-looking packaging you’ll find the amp, a microUSB to USB cable, a optical to 3.5mm cable and a manual/warranty card. I personally would have liked to see a 3.5mm to 3.5mm jack which would have been useful for those plugging in their phones or iPods into the DAC – sure it’s not directly aimed at those people, but having the option is always great. I also found the microUSB cable a little short, where the cable’s length is around 1.2-1.5m long. A longer cable would have made it useful for bigger desks and different desktop layouts. As the amp is labelled as a “portable headphone amp”, it would have also been useful to receive some sort of bands to attach with your phone, or even a small carrying pouch – I’ll get into that in just a bit! As mentioned in my introduction, I was really disappointed to find the amp malfunctioning after just two weeks of use. 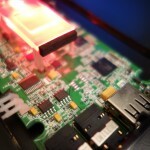 This came out the blue, ad the G5 was being used through USB input to my work PC. Upon pointing out the flaw to Creative, they sent me another one, saying the batch must have been faulty. When I then looked around on the internet, it seemed I wasn’t the only one – with many Amazon reviews pointing out that their device had suddenly stopped working. 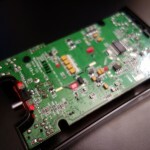 It seems there is a fundamental hardware flaw with a certain batch of these amps, however upon inspecting the serial number and production date of both serial numbers of the amps, I noticed barely any difference – both amps have the similar serial number and are both produced in China in January 2016. This made me raise my eyebrows when thinking of the overall build quality – as it induces fear and worry about the product malfunctioning in a few months time, if not after a few years when the warranty has fully expired. Here’s the inner parts of the amp! 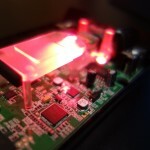 Other than this point, which I think is something seriously worrying – the overall build quality of the amp is fantastic. Under the amp you’ve got a rubberised material, which prevents the amp from sliding around on a desk, on the left-hand side you’ve got a high/low gain switch, the SBX button (which can be disabled by long-pressing) and has numbers 1-2-3 denoting the level of SBX being used and finally on the left you’ve got the dedicated Scout Mode. 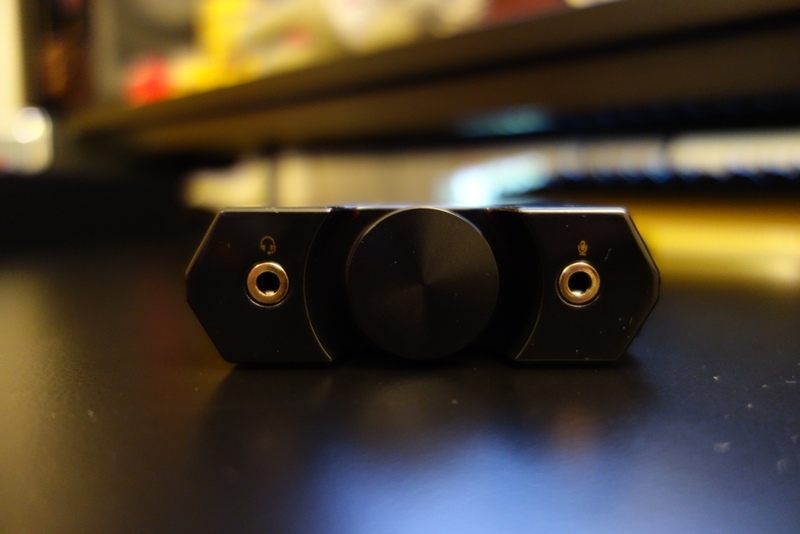 Speaking of these buttons, I was really impressed with the high/low gain mode switch – it works instantly and in high-gain mode, you’ll be able to drive high impedance headphones with ease. I personally used the amp in low-gain mode as my daily audio drivers are low impedance, easy-to-drive earphones and headphones. I found the Scout Mode to be useful for hearing enemy footsteps in games, but also distracting as it tampered with the sound frequency output. 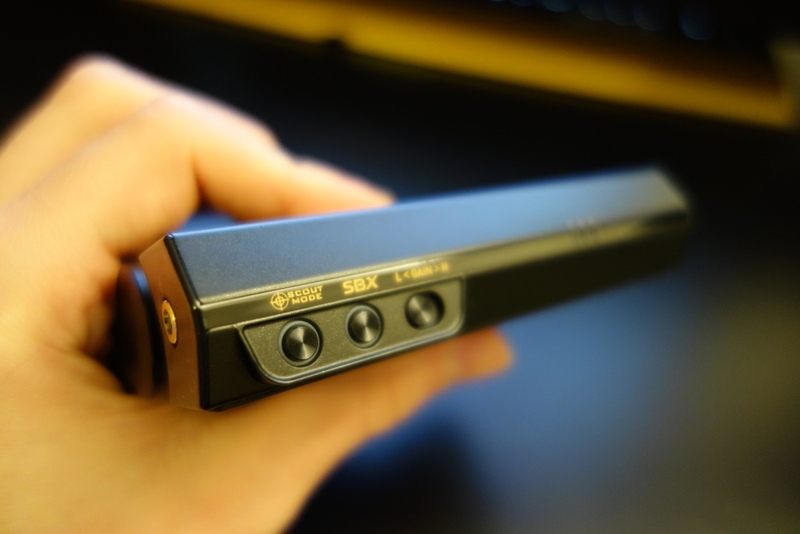 The SBX mode was a disillusion – I’ve never been that impressed by “Dolby sound” reproduction, whereby software is used to EQ and make the output of a device appear as if it’s a 5.1 or 7.1 sound system. With no matter what equipment I paired the G5 with, this somewhat fake Dolby sound was just ruining the overall sound quality output! It did do the job as intended, making it sound further away and more spaced-out, but it’s something I avoided as it recessed the mids, rolled off the highs and cut-off the sub-bass extension of the amp. Moving to the front of the amp, you’ll notice a headphone out and mic input 3.5mm jack (which are also gold plated). 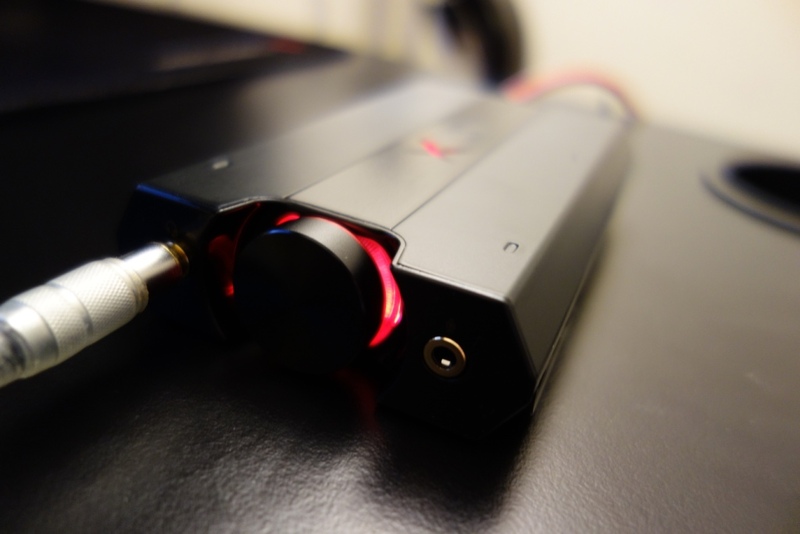 The most interesting part of the build quality of the amp, is the volume wheel, which has a corresponding red light that indicates the volume. 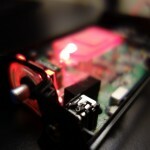 In other words, the louder the amp is (respective to its high/low gain mode), the brighter the red LED will be. This cool and yet useful feature is a nice touch by Creative. Furthermore, by pressing on the control wheel, it mutes the output – a nifty feature. 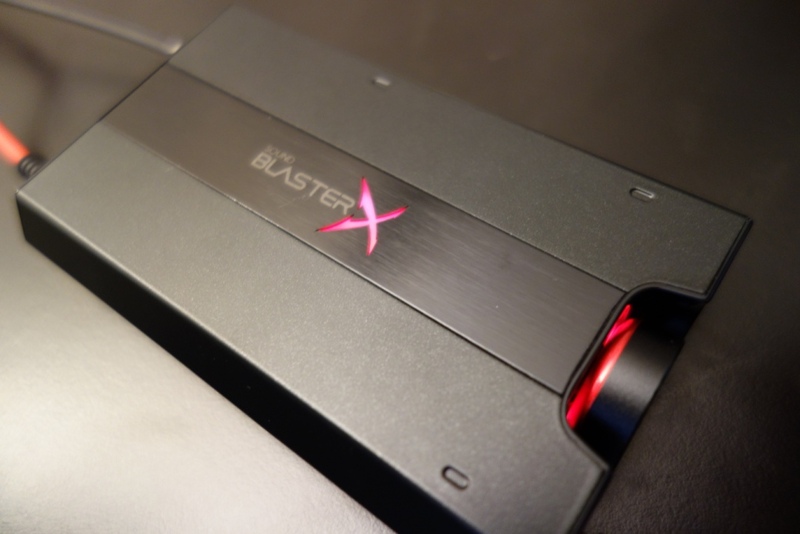 Unfortunately, the top BlasterX logo remains illuminated in a solid red colour. At the back of the amp, you’ll find a microUSB input, which is needed to power the amp, a USB port which has a rated 100mA output, enough to power your keyboard, mouse, and even USB flash drive directly from the amp itself! There is also an input and output 3.5mm jack which also double up as optical inputs/outputs (these jacks are also gold-plated). Now the problem with the amp to me, is that it is labelled as a portable amp, but the only thing that makes it remotely portable is its size and form factor. It’s a well designed amp, that looks nice and has a solid build quality, but due to it not having a lithium battery, I can’t for one minute see why this would be deemed as portable? It needs power through its microUSB port, which means it needs a desktop or PS4 to make it work! With no power connected, it doesn’t even work as an amp through its 3.5mm jack input/outputs. Therefore, I really like the build quality of the G5, but let’s be clear, this is a non-portable, desktop amp. I think if the amp had a battery like its E5 brother or even Bluetooth functionalities built-in, it would have been a better all-round portable amp, which could have been used both at home and on-the-go. The software is well designed for all the different customisations you wish to do with the amp. 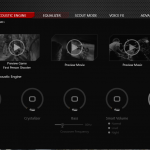 Such as customising a profile preset, equaliser modes and even tweaking the voice FX. However, as stated in my introduction I had problems with the software. Both my work and home PCs run on Windows 10 64-bit and both of which at one point were able to use the G5 as a dedicated output. Unfortunately, after having the replacement sent to me, the new G5 doesn’t pick-up properly on my home PC – even with a full driver uninstall etc. Funnily enough, the old G5 actually is picked up flawlessly by my PC, but due to it having hardware problems, doesn’t output sound – typical! This lead me to once again look on the internet, and yet again I found reviews and people who purchased the G5 complaining about its drivers. It seems that it doesn’t want to be picked up on all machines, even if the machines are running the exact same operating system. U don’t know what the cause is, but it seems that Creative have to look into the software side of things too, as not all users will be able to fully rely on the amp being picked up by their machines. The sound quality of the amp is good – whereby I found the overall sound reproduction and imaging to be well presented. As said before, the high/low gain modes work perfectly and enable you to drive high impedance headphones. However, the sound quality isn’t perfect – analysing it as an audiophile and comparing it to other amps, even receivers such as my Denon X500, I found the G5 to be good, but not extraordinary for its price of £130. I found the soundstage to be one of its biggest let down, where the sound felt a little closed and didn’t have as much width or depth that I would have liked it to have. 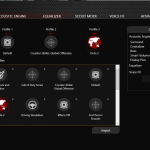 Sure, you can enable the SBX functionality, but as said before it severely dampens the other frequency traits. I would have therefore liked a little more openness and fluidity in its instrument separation. 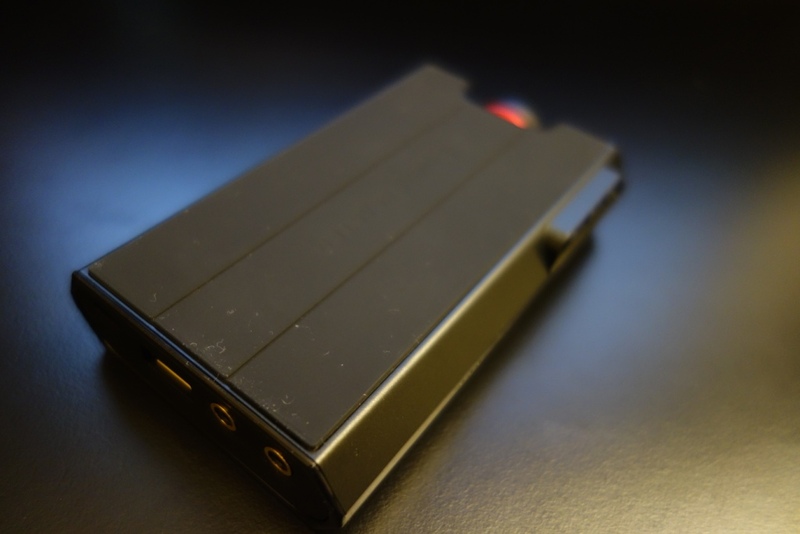 Comparing it to a truly portable headphone amplifier, like the Digizoid ZO2 or even FiiO products, I didn’t feel the G5 brought anything to the table, which would make me overlook it over the other headphone amps on the market. In terms of its sound frequency traits, I found the lows to be decent, with a reasonably good extension into the sub-bass regions. The mid-bass had good control and wasn’t overly warm or bloated. 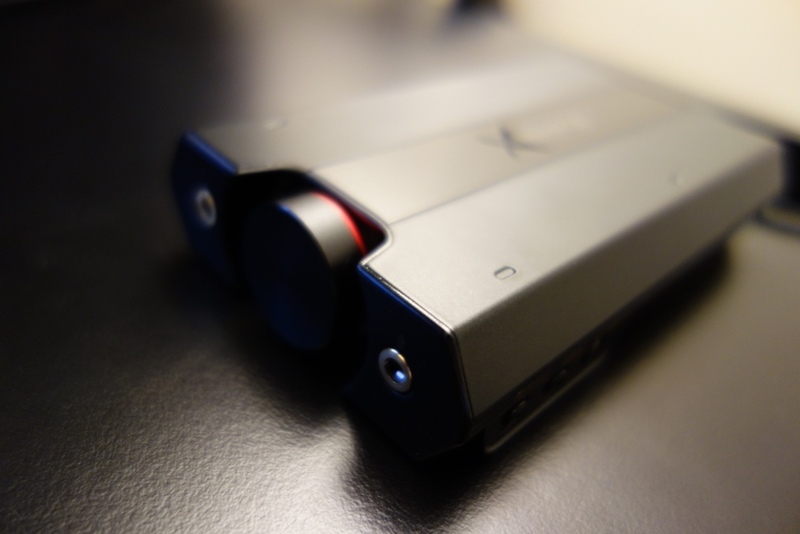 The mids were a little recessed and made the overall sound presentation slightly V-shaped, which meant that it would suit the average gamer and listen perfectly, but wouldn’t truly impress an audiophile. That said, given its price of £130, I wasn’t expecting a perfectly neutral sound frequency. Moving on to its highs, I found them to extend well and provide a nice sparkle – they weren’t overly sibilant nor over emphasised, resulting in a comfortable and pleasant high-frequency experience – this would especially be relevant for gamers, listening out for vocals or even minor footsteps. 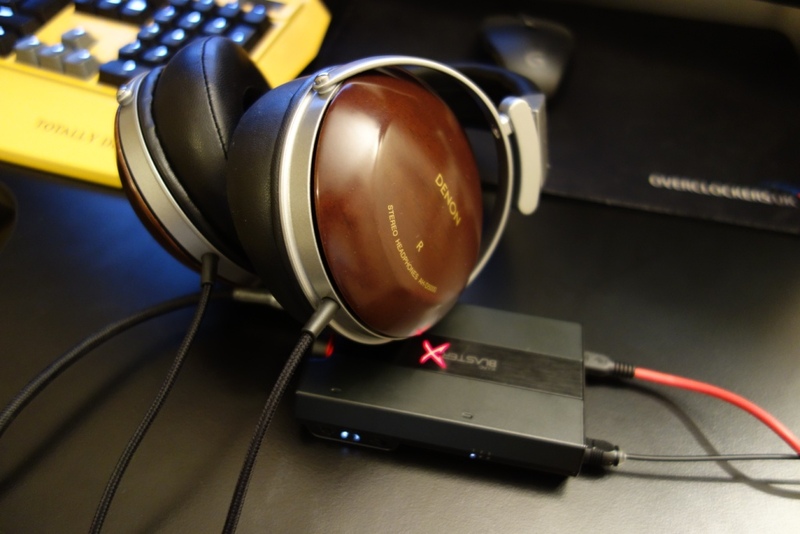 Overall, the sound quality is good of the amp, but it’s not something I would say is a must-buy over the other headphone amps you can buy on the market, especially ones which are portable and can double up as a desktop DAC too (and be found at a similar price!). Overall, I was in a love, hate relationship with the G5. 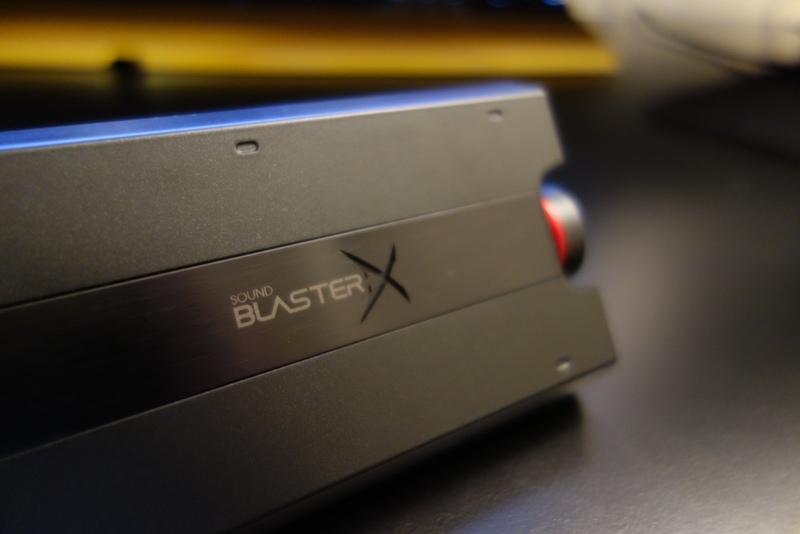 In one hand, I really liked the functionalities it had and its decent sound quality performance, especially for gamers who intend to use it for listening to precise sounds like footsteps through Scout Mode. 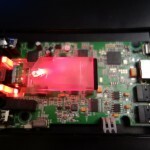 However, given my hardware problems and then software problems on another PC, it just seems that this G5 is riddled with problems and I feel that Creative should just re-create another version which addresses all the problems and ensures there’s no problem with their units with solid quality assurance and control. As I’m not the only one, I can safely say that it’s a problem with the product line, not a one-off problem that only occurs to some people. 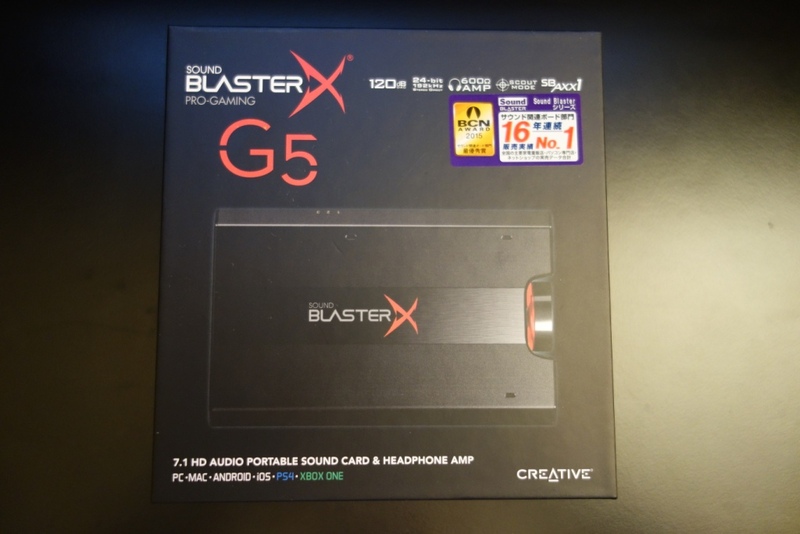 I could have seen myself recommending the G5 for gamers, but given that this is a desktop amp, that doesn’t really present all that much extra, I think most gamers would just opt for a internal sound card, which can be found for much cheaper and offer more distinct sound quality traits. Knowing Asus, I would always choose Creative :)! I can’t comment on the headsets though. Thank you for your review. What USB sound card would you advise for gaming and music listening with impressive sound quality? Need to add that money doesn’t really matter and I also would like to have the input for micro. 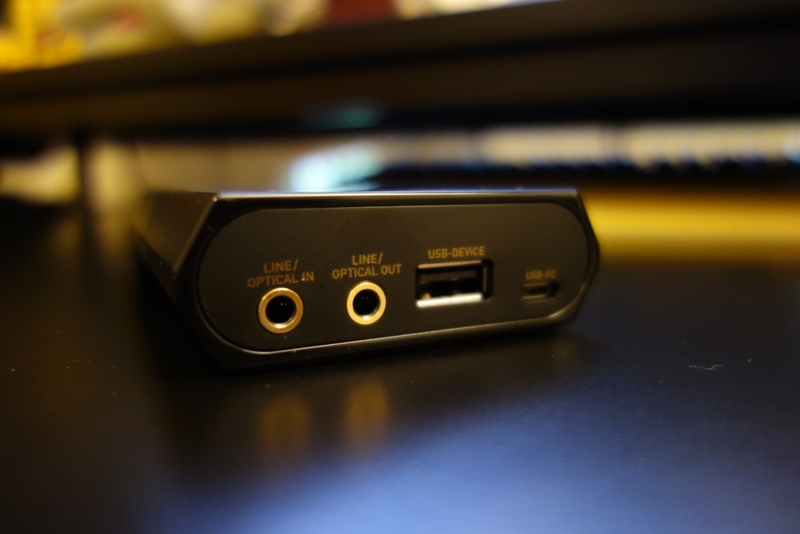 In all honesty an internal one or an external DAC of sorts – like the ODAC Input for microphone can always go directly into the PC – with a cheap USB soundcard (that’ll be more than enough for recording quality)! 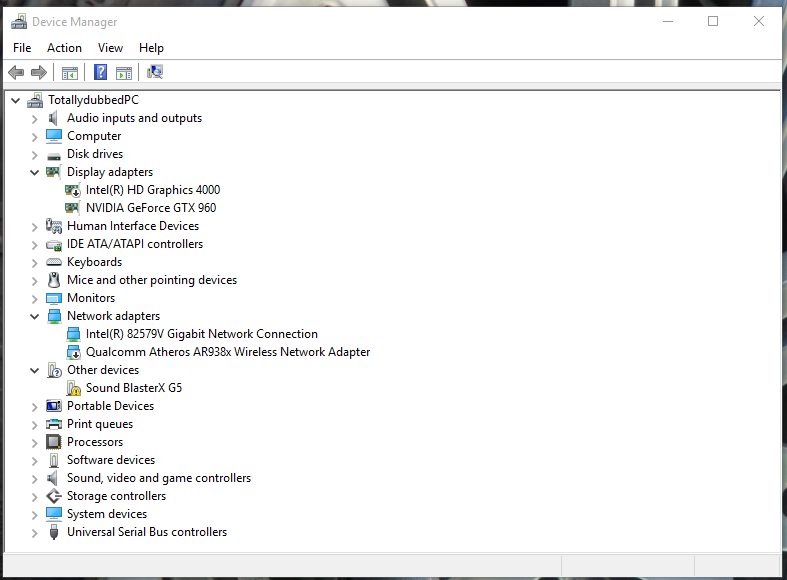 I game primarily and am looking for any internal/external sound card with 7.1 capabilities. 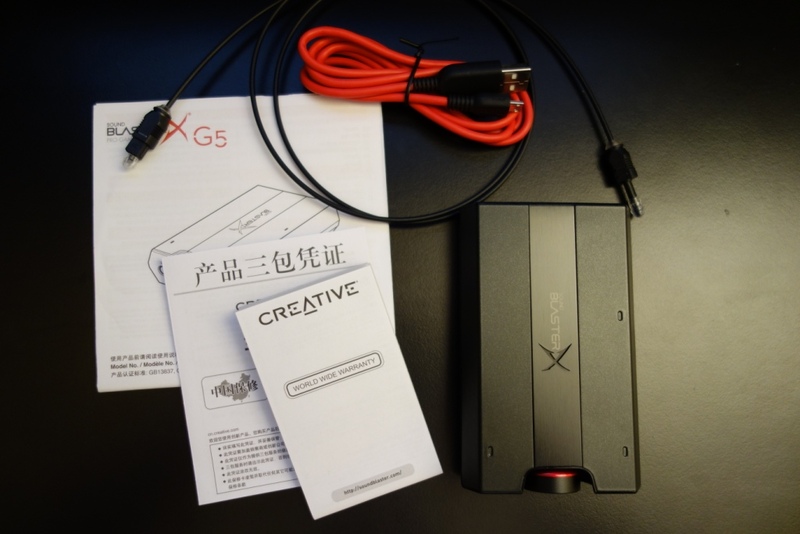 With gaming in mind, would you still recommend the Creative G5, or an alternative internal sound card like the ‘Creative Sound Blaster Audigy RX 7.1 ‘ or the ‘ASUS Xonar DSX 7.1’? I’d opt for an internal sound card personally – but I know versatility is a problem with them, so it depends on you! The G5 does not use Dolby Surround nor any of it’s related cousins. All these are geared towards music and movies, whereas Creative’s proprietary SBX sound is specifically for gaming. I prefer SBX over any of the other virtual sound solutions for gaming. On a side note, it’s nice to see you have your own website now! I remember you from overclockers dot net, from your Antec Kuhler thread. I assume you are the same guy as you use the same handle. Thanks for this review, I’m a bit worried about my G5 overheating now eventually. Hey bud, yes that’s me – same guy on OCN (left that site, due to admins and mods) – have owned my own website since 2012 though haha! 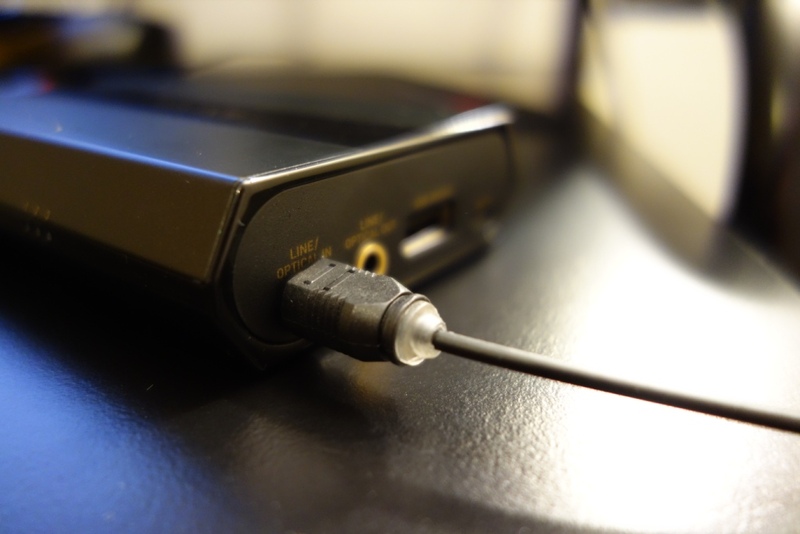 I currently have the Sennheiser G4me Zero’s (2x 3.5mm jack) but when I plug it into my laptop via the headphone and microphone combo jack (I use a Y splitter cable from sennheiser), there is always a slight hiss which is produced. I have used USB headsets before and there is no hiss. Well the G5 is a good one – you can also get a really cheap USB soundcard from Amazon (£5 or so), for the mic-only? Should be fine, but I can’t tell you for sure! how did you open the g5 ? Did you removed the rubber on the backsite ? oh damn, i dont want to break it down.